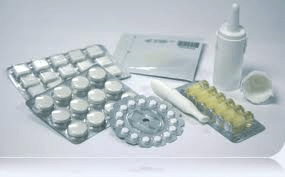 Nicotine replacement therapy, including patches and gum, really help? Nicotine replacement therapy, including patches and gum, don’t seem to help people quit smoking. I am one of only a few Stop Smoking Centers in Denver and the country that offer a offer a unique Lifetime Guarantee. I have such a high success rate. Literally, more than 95% of people stop in one hour with my hypnosis. Nicotine replacement therapy, including patches and gum, don’t seem to help people quit smoking in the long-term, researchers say. In a study published in Monday’s online issue of the journal Tobacco Control, investigators at the Harvard School of Public Health reported they followed 787 adult smokers who had recently quit. “This study shows that using nicotine replacement therapy is no more effective in helping people stop smoking cigarettes in the long term than trying to quit on one’s own,” study author Hillel Alpert said. Heavily dependent smokers who used nicotine gum, nicotine inhalers or nasal spray to help them quit, without receiving professional help, were twice as likely to relapse compared with those who did not use the products, the researchers found. “This may indicate that some heavily dependent smokers perceive nicotine replacement therapy as a sort of ‘magic’ pill, and upon realizing it is not, they find themselves without support in their quitting efforts, doomed to failure,” the study’s authors concluded. In the study, participants were surveyed about their use of the products over three time periods: 2001-02, 2003-04 and 2005-06. Turning Point Hypnosis Denver Helped Vanessa Quit Smoking For Over Three and Half Years! Call Now For Your Absolutely FREE Screening and See If Hypnosis Is Right For You! For each time period, almost a third of recent quitters reported they had relapsed. The researchers found no difference in relapse rate among those who used nicotine replacement therapy for more than six weeks, with or without professional counselling. 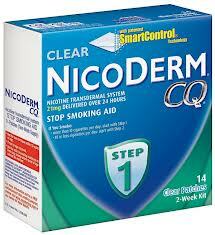 There was also no difference in quitting success with nicotine replacement therapy for either heavy or light smokers. “The study also points out that we have to engage people socially and psychologically to help them to quit as well as to use effective public health interventions, like making smoking illegal in public places and raising the price of cigarettes,” said CBC medical specialist Dr. Karl Kabasele, who works in the field of smoking cessation at the Centre for Addiction and Mental Health in Toronto. At CAMH, nicotine replacement therapies do work for some people, said Dr. Peter Selby, head of the hospital’s nicotine dependence clinic. In British Columbia, a government program provides free nicotine replacement products like the patch. About 60,000 such products have been given at a cost of millions of dollars to taxpayers. The province doesn’t track the success rate of the products. B.C.’s minister of labor and citizens’ services, Dr. Margaret MacDiarmid, said the study will be examined to help decide if resources are being used effectively. Cigarette smoker Alex Davidson in Toronto consumes a pack a day. The study was funded by the U.S. National Cancer Institute. Stop Smoking Hypnosis Denver – Quitting By Yourself Does Not Work! Isn’t it time to get the support you need… because you know that quitting by yourself does not work! Turning Point Hypnosis Denver makes it easy for you. All you have to do is pick up the phone, make an appointment for your FREE stop smoking screening and keep that appointment. From that moment on your smoking problem is solved. Give us a Call for Your Free Stop Smoking Screening to See if Hypnosis is Right for You.